Susan Ruff, Administrative Law Judge (ALJ), Office of Administrative Hearings (OAH), heard this matter on October 30 and 31, 2012, in San Diego, California. 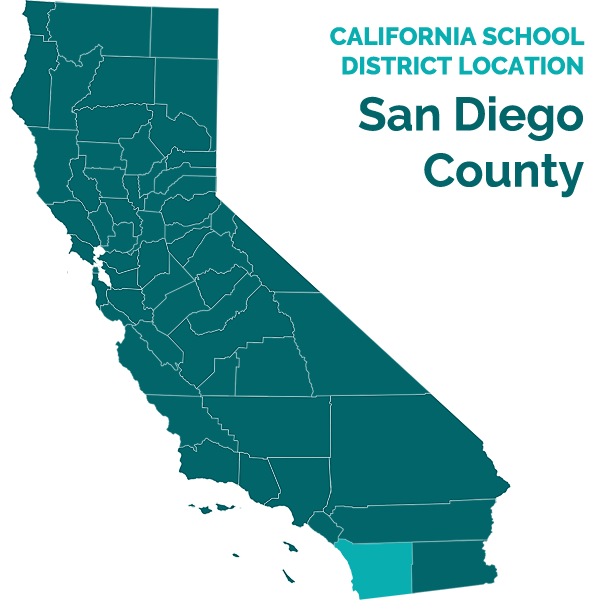 Amy Bozone, Esq., represented the San Diego Unified School District (District). Phyllis Trombi, Due Process Specialist, also appeared on behalf of the District. 1 On October 18, 2012, Student’s father faxed a letter to OAH stating: “We hereby inform you that we do not wish to attend the prehearing conference or the due process hearing.” ALJ Ruff telephoned Student’s father during the prehearing conference, and Student’s father confirmed that Student’s parents did not wish to participate in the due process hearing or PHC. On the day of the due process hearing, further attempts were made to contact Student’s father by telephone at the three telephone numbers he provided on his October 18, 2012 letter, but the phone calls all went to voice mail. The District’s request for due process hearing was filed on August 24, 2012. On September 10, 2012, OAH granted the parties’ request to continue the hearing dates. The case was taken under submission on October 31, 2012, at the close of the evidence. Did the District’s individualized education program (IEP) offers dated February 28, 2012, and May 22, 2012, offer Student a free appropriate public education (FAPE) in the least restrictive environment such that the District is not responsible to reimburse Student’s parents for their private placement at Pioneer Day School? 1. Student is a nine-year-old boy who is currently eligible for special education and related services under the eligibility category of autism. Student’s family resides within the jurisdiction of the District. 2. Student is currently in third grade. He attends a non-public school, Pioneer Day School, at his parents’ expense. The two IEPs at issue in the instant case were created for Student during his second grade year, in February and May 2012. Student’s parents pulled Student from the public school and placed him in the non-public school on approximately April 16, 2012, near the end of his second grade year. 3. Even prior to the time Student’s parents pulled Student from his public school placement in April 2012, Student’s parents had not permitted Student to attend a full day in a public school classroom, except on rare occasions (such as when the school day ended early). Instead, Student’s parents had Student leave school early each day to participate in privately provided educational services. 4. During Student’s kindergarten year, Student only attended school for approximately two hours per day. In 2011, the parties signed a mediation agreement in which Student’s parents permitted Student to gradually attend school for longer periods of time until Student ultimately attended school for approximately five hours a day. This was still less than a full school day for an elementary grade pupil. Because Student typically did not attend for a full school day he missed instructional time, including instruction in subjects such as science and humanities. During Student’s second grade year, Student’s parents typically had Student leave class either before or right after lunch. Despite the fact that Student seldom attended a full day of school, he gained meaningful educational benefit from his District program academically, socially and behaviorally. 5. The first IEP at issue in the instant case is the February 28, 2012 IEP. This IEP meeting was held as an addendum to Student’s annual IEP which had been developed in December 2011, during Student’s second grade year. The purpose of the addendum meeting was to review two assessments – an auditory processing assessment conducted by the school psychologist at the request of Student’s parents and a private occupational therapy (OT) observation conducted at school. 6. Student’s parents attended the February 28 IEP meeting and participated in that meeting. They initialed the IEP document confirming that they had received a copy of their procedural safeguards. 2 Ms. Calissi was married prior to the hearing and went by the name of Jennifer Kosmos at the time she testified. 3 “Pull-out” refers to time that a pupil is pulled out of the general education classroom to receive services outside of the general education environment. 7. In attendance at the meeting on behalf of the District were school principal Sandra McClure, the administrator designee, general education teacher Kristin Brown, special education teacher Vincent McAuliffe, school psychologist Meghan Smith, occupational therapist Janene Anderson, speech-language pathologist Jennifer Calissi, 2 and speech-language pathologist Mary Ahnger. 8. Adapted physical education (APE) specialist Terri Ristau Johnson was excused from attending the February 2012 meeting with written parental consent. APE was not an assessment area discussed at the meeting. Student’s December 2011 IEP already had proposed goals and services regarding APE, and those same goals and services were continued in the February 28, 2012 IEP. 9. The February 28 IEP contained goals to address each of Student’s areas of educational need, including goals related to functional communication, social language, independent living/self-help skills, penmanship, academic behavior (time on task and selfcontrol/regulation), social emotional (management of emotions), mathematics, word problems, reading comprehension, decoding/word recognition, sensory motor (ball skills), understanding “wh” (who, what, when, where) questions, speech articulation, telling time (to the nearest quarter hour), following multistep directions, and blending sounds in words. 10. The placement and services offered in the February 28, 2012 IEP included 20 hours per week of specialized academic instruction in a general education classroom with the assistance of an aide, pull-out 3 specialized academic instruction for 10 hours a week, pull-out OT services for 30 hours per year, pull-out speech and language therapy for 24 hours per year, and pull-out APE services for eight hours per year. The IEP also offered extended school year services for Student during the summer. 11. The IEP contained classroom and testing accommodations/modifications including, but not limited to, directions given in a variety of ways, shortened assignments, modified curriculum, visual pictures/supports, movement breaks, a peer buddy, preferential seating, and extended time for completing assignments and tests. The IEP provided that the various special education service providers would collaborate with the general education teacher and each other to assist Student with meeting his goals. 12. The IEP contained a positive behavior support plan (BSP) to address Student’s problems with attention, following directions, and engaging in negative behaviors (such as hitting, squeezing and pushing) when frustrated. The positive interventions included, among other things, a highly structured environment, use of a sensory schedule, movement breaks, and preparation for transitions. The sensory schedule consisted of a detailed daily schedule of activities for Student, with specific events to occur at specific times. 13. Meghan Smith conducted the auditory processing assessment and reviewed her report at the February 28, 2012 IEP meeting. Ms. Smith holds a master’s degree in educational psychology, a master’s degree in counseling, and a pupil personnel services credential. She has been a school psychologist for the District for seven years. During her seven years in the District she has worked with pupils with autism and has collaborated with other educators regarding autistic children. Ms. Smith had previously assessed Student in 2009 in connection with his triennial evaluation. As will be discussed below, she also assessed Student in May 2012, in connection with the early triennial assessment conducted by the District. Ms. Smith understood Student’s needs well and was well qualified to discuss those needs at hearing. 14. As part of her auditory processing assessment in February 2012, Ms. Smith conducted testing of Student, observed Student in class, reviewed records, and conducted interviews. Student’s attention problems interfered with the assessment of Student’s auditory skills. However, Ms. Smith was able to determine some of Student’s strengths and weaknesses with respect to auditory processing. As a result of her assessment, she recommended that a new goal be added to Student’s IEP in the area of blending sounds. 15. Ms. Smith participated in the development of Student’s BSP. In her opinion, the BSP and sensory schedule were working successfully. She had seen Student make behavioral progress during the time he was with the District. His ability to sustain attention to tasks improved, and he was able to transition to new environments more easily. In her opinion, the February 2012 IEP was designed to provide Student with meaningful educational benefit. 16. Ms. Brown, Student’s general education teacher for first and second grade, participated in Student’s IEP meetings. Ms. Brown has approximately 20 years of experience as a teacher for the District. In her opinion, the February 2012 IEP goals were appropriate for Student, and Student could reasonably be expected to attain those goals in a year’s time. 17. The District conducted a triennial assessment of Student in approximately April and May 2012. Student’s triennial assessment was not due until December 2012, but the District agreed to conduct it early because Student’s parents wanted further assessment. 18. Ms. Smith conducted the psycho-educational portion of the assessment. Christa White, who was at that time an intern, assisted with portions of the assessment and drafted the assessment report. Ms. Smith supervised Ms. White and reviewed the assessment report to make sure that it was appropriate. As part of the assessment, the District assessors observed Student in his school program, reviewed records, conducted interviews with Student’s teacher and mother, and administered tests and other assessment instruments, including the Test of Visual Perceptual Skills – Third Edition, the Developmental Test of Visual-Motor Integration – Sixth Edition, the Vineland-II Adaptive Behavior Scales, and the Autism Spectrum Rating Scales. Student’s parents did not consent to intellectual development testing for Student, but Ms. White’s assessment report noted that Student’s cognitive testing during the previous triennial assessment in 2009 estimated Student to be in the average range cognitively. The assessment report also noted that Student’s results on the visual processing assessment should be viewed with caution, because Student could not sustain attention on many to the tasks and did not seem to understand some of the tasks. 19. The assessment report concluded that Student continued to meet the eligibility criteria as a child who requires special education services due to autism. The report found, among other things, that Student had difficulty transitioning smoothly, adjusting to new situations, interacting socially, completing tasks and sustaining attention to tasks. 20. Special education teacher Vincent McAuliffe conducted the academic achievement portion of the 2012 triennial assessment. Mr. McAuliffe has a degree in elementary and special education. He is currently working toward his master’s degree. Prior to his work with the District, he had experience working with autistic children as an assistant and later a teacher at a private school in New York. He has worked for the District for approximately three to four years and was Student’s special education instructor. He had previously assessed Student in 2009 as part of an earlier triennial assessment, and also was part of the February 2012 auditory processing assessment. As a result of his assessments and work with Student, he was very familiar with Student’s needs and present levels of performance related to academics. 21. For the 2012 triennial assessment, Mr. McAuliffe assessed Student using the Brigance Comprehensive Inventory of Basic Skills, informal skills testing, and classroom observation. He found that Student was below grade level in reading, writing and mathematics. He concluded that Student required specialized academic instruction to work towards grade level. 22. Ms. Calissi (Kosmos) conducted the speech and language portion of the assessment. Ms. Calissi holds bachelor’s degrees in elementary education and communicative disorders and master’s degree in communicative disorders with an emphasis in speech-language pathology. She holds a state license and a certificate of clinical competence, and has held her state credential since 2006. She provides speech-language therapy services to the District as an employee of EBS Healthcare. In her clinical practice, she has worked with pupils with autism, and she has provided speech-language therapy to Student as part of his District program. As part of her assessment, she conducted a records review, observed Student in therapy and in the classroom, interviewed his teacher and aide, and administered informal assessment measures. She concluded that Student exhibited delays in receptive and expressive language, and was most significantly impacted in social and pragmatic language skills. 4 SCERTS stands for Social Communication Emotional Regulation and Transactional Supports. 23. Ms. Johnson conducted the APE assessment. Ms. Johnson has been a credentialed APE teacher for 15 years. She has specialized training in addressing the needs of autistic children through her involvement with a program called SCERTS. 4 Her assessment consisted of records review, observations and teacher interviews. She administered the Primary Motor Evaluation, a criterion-referenced test which evaluates performance in the areas of body image, balance, locomotion coordination, eye-hand/eyefoot coordination, bilateral coordination, strength and flexion. She was also familiar with Student’s needs and present levels of performance because she had worked with him as an APE teacher. As a result of her assessment, Ms. Johnson recommended that Student continue to receive APE services and collaboration in the general education PE setting. She also recommended that a goal be added to Student’s IEP to address an area of need in bilateral coordination. 24. Ms. Anderson conducted the OT portion of the triennial assessment. Ms. Anderson holds a bachelor’s degree in health sciences and a master’s degree in occupational therapy. She has been licensed by the state as an occupational therapist since 2008 and has experience working with pupils with autism. As part of her assessment, she reviewed records, made a classroom observation of Student, reviewed work samples, and administered various tests/assessment instruments including the Caregiver and School Companion Sensory Profiles, the Developmental Test of Visual-Perception Second Edition, and the Evaluation Tool of Children’s Handwriting. She recommended that Student continue to work on activities to improve his visual-motor integration, handwriting, time on task, self-regulations skills and self-help skills. 25. The District assessment also included a health assessment conducted by Registered Nurse Elaine Kooima. In addition, Student received a developmental vision assessment from optometrist Lisa Weiss. Dr. Weiss recommended 24 hours of in-office optometric vision therapy sessions for Student. 26. Student’s IEP team met to review the triennial assessment on May 4, 2012. Student’s father attended and participated in the meeting. The District team members included Ms. McClure, Ms. Brown, Mr. McAuliffe, Nurse Kooima, Ms. Anderson, Ms. Smith, Ms. White, and Ms. Johnson. 27. Ms. Calissi was not able to attend the May 4, 2012 IEP, but she personally met with Student’s mother to discuss her assessment report, progress and goals, and to answer any questions Student’s parents might have. Student’s parents gave written permission to excuse Ms. Calissi from attending the May 4, 2012 meeting. 28. The team did not complete Student’s IEP on May 4, 2012, and the team agreed to meet again on May 22, 2012. Student’s father and mother attended the May 22, 2012 IEP meeting and participated in the meeting. They initialed the IEP document confirming that they had received a copy of their procedural safeguards. 29. The District team members in attendance at the meeting included Ms. McClure, administrator, Ms. Brown, general education teacher, and Mr. McAuliffe, special education teacher. Student’s parents agreed in writing to excuse certain team members from attending that continuation meeting, including Ms. Johnson, Ms. Smith, Ms. Anderson, Ms. Calissi and Ms. White. The assessment reports for each of the excused team members had been discussed at the May 4 meeting, with the exception of Ms. Calissi’s report, which was discussed in person with Student’s parents prior to the May 22 meeting, as discussed in Factual Finding 27 above. 30. The offer of placement and services in the proposed IEP included 20 hours a week of specialized academic instruction in a general education classroom with aide assistance, 10 hours a week of pull-out specialized academic instruction, 30 hours a year of OT services, 24 hours a year of speech and language therapy, eight hours a year of APE, and 24 hours a year of vision therapy. The IEP also called for collaboration among all of Student’s teachers and service providers, as well as ongoing collaboration between school personnel and Student’s parents. The District recommended extended school year services for Student in the summer. 31. The IEP document properly contained present levels of performance for Student. The District IEP team members were aware of Student’s present levels and educational needs based on the triennial assessment, the time they had spent working with Student, and the prior assessments that had been conducted. Their testimony established that that the present levels contained in the IEP document were accurate and appropriate for Student. 32. The IEP also contained supplemental aids, modifications, and supports, including but not limited to, test modifications and accommodations, directions given in a variety of ways, movement breaks, preferential seating, peer buddy, and many other accommodations. The IEP also included Student’s BSP and sensory schedule. To foster Student’s independence in the classroom, the District team members proposed an independence plan which was attached to the proposed IEP. 33. The proposed IEP contained goals to address each of Student’s areas of need including goals related to math, understanding money values, telling time, reading comprehension, reading decoding/word recognition, written language, social emotional (following multi-step directions), adaptive/daily living skills (tying his shoes independently), fine motor skills (related to handwriting), attention/time on task, academic behavior (selfcontrol/regulation), sensory-motor skills, bilateral coordination, social language, communication skills, and social/emotional/behavior. The District witnesses were consistent in their testimony that the goals were appropriate and addressed all of Student’s areas of need. Ms. Brown explained the goals would be challenging for Student, but were attainable by him and were written with the third grade standards in mind. 34. The baselines and contents of the proposed goals demonstrated the progress that Student had made since his earlier IEP’s. For example, the time-telling goal in the February 2012 IEP called for Student to tell time to the nearest quarter hour. The goal in the May 2012 IEP called for him to tell time to the nearest minute. 35. Student’s parents did not consent to the May 22, 2012 IEP. According to the notes listed on the IEP, Student’s parents believed that Student had made inadequate academic, sensory and social progress in the District’s program. They believed he was making progress at the non-public school, and they felt the non-public school was a better environment for him. They said that, since he began attending the non-public school, he had been behaving better outside of school. Parent concerns include [Student’s] social language and his ability to interact with peers. [Student’s] mother is also concerned that [Student] is behind grade level in reading and math, and she notes that other academic subjects such as science and humanities are not addressed at all. Other concerns include [Student’s] poor ability to generate and write his own ideas, his self-regulation difficulties (which when unaddressed or insufficiently addressed prevent [Student] from learning), and his auditory processing, visual processing, and fine-motor (penmanship) difficulties. 37. During the hearing, the District witnesses described the appropriateness of Student’s education program prior to April 16, 2012, when Student’s parents pulled him from public school. The District witnesses also described the progress Student had made during his time in the District’s program. 38. Ms. Johnson described the APE services in Student’s IEP. The pull-out APE services were provided on Fridays in a small group environment. Typical peers participated in the small group as well as disabled children. During that pull-out time, Ms. Johnson worked with Student on his IEP goals. 39. In addition, Student participated in general education physical education (PE) with his elementary school class. Ms. Johnson collaborated with the general education teacher to provide strategies to use for Student to assist him in general education PE. Ms. Johnson explained that, as time went on and Student progressed in the class, he needed fewer breaks and was able to participate longer. She explained that physical movement was a natural regulator for Student. 40. Student’s gross motor skills also improved in the District’s educational program. For example, once Student mastered the goal of bouncing and catching a ball, his APE goals were advanced to having him throw a ball in the air and catch it, a more difficult skill. In her opinion, the APE services called for in the District’s IEP’s were designed to enable Student to gain educational benefit. 41. Ms. Smith testified to Student’s social and behavioral improvement. Both his ability to sustain attention to tasks and his ability to transition to new environments increased during the time he was with the District. Ms. Brown testified that Student’s ability to attend to her general education class improved, and his reading, writing and math skills improved during the time he was in her class. 42. Mr. McAuliffe testified that when the District first began educating Student, Student could not solve double-digit addition problems. By February 2012, he was able to do so, and by May 2012, the District’s IEP contained a proposed goal for Student to solve triple-digit math problems. Student had also made progress in the area of understanding word-problems in math and in reading comprehension. When McAuliffe began educating Student, Student had some ability to sight-read individual words, but could not string those words together to read. By February 2012, he was reading independently at around a first grade level. 43. Mr. McAuliffe explained that, when Student seemed to hit a plateau in his academic progress, the District instituted new strategies to help Student continue to progress. They also used strategies, such as a timer for breaks, to help lengthen the time that Student would remain on task. Prior to the use of this timer, Student could sustain attention for about five minutes. By the time Student’s parents pulled him from school in April 2012, he was up to 12 minutes between breaks. The timer was also a successful strategy for lessening Student’s physical frustration behaviors, because Student knew a break was coming. Ms. Brown explained that a typical second grader can attend to class for 10 to 15 minutes. Student’s May 2012 IEP increased the time-on-task goal to 20 minutes, which, in Ms. Brown’s opinion, was a reasonable goal for a pupil going into third grade. 44. In Mr. McAuliffe’s opinion, the May 2012 IEP offer was appropriate for Student, was reasonably calculated to provide Student with educational benefit, and met Student’s unique educational needs. 45. Ms. Anderson described Student’s OT services and how Student’s sensory plan helped him regulate his behavior. During the time she worked with Student on OT services, the legibility of Student’s handwriting improved and he could write for longer periods of time without breaks. In her opinion, the May IEP was designed to provide Student with educational benefit and the OT services called for in that IEP were appropriate. 46. Ms. Calissi (Kosmos) testified regarding the speech-language services she provided to Student and the increase she saw in Student’s ability to focus and stay on task. She saw an increase in Student’s ability to answer “wh” questions. She also described how she collaborated with Student’s other educators and how consultation assisted Student’s educational program. In her opinion, the speech-language services in the District’s IEP’s were designed to provide Student with educational benefit. 5 By contrast, the District witnesses reported that Student’s current non-public school placement has no typical peers. 48. The witnesses were unanimous in their testimony that Student benefitted from his specialized instruction and other pull-out services. He made progress academically and his attention to task improved. Student made progress in every academic area. 1. The party filing a due process case has the burden of proof in the proceeding. (Schaffer v. Weast (2005) 546 U.S. 49 [126 S.Ct. 528].) In this case, the District, as the petitioning party, has the burden of proof. Caused a deprivation of educational benefits. 9. As set forth in Factual Findings 1 – 48 above, the District met its burden of proving that its February and May 2012 IEP’s were appropriate both procedurally and substantively. The District had all the required individuals at the IEP meetings, permitted parental involvement in those meetings, provided Student’s parents with procedural safeguards, and took all the necessary steps to draft a complete IEP. When IEP team members could not attend a meeting, the District made certain that their absence was agreed to by Student’s parent in writing and that any necessary input by the absent team member was available to the team. The IEP team members understood Student’s needs and present levels of performance, and drafted appropriate IEP goals for Student. The IEP documents contained the elements required by law. There was no indication of any violation of procedural requirements by the District in conducting the IEP meetings or drafting the IEP documents. 10. Likewise, the District met its burden to show that the IEP’s at issue were substantively appropriate. The District witnesses were persuasive in their testimony that the IEP’s in question were reasonably calculated to provide Student with educational benefit. The related services were appropriate to enable Student to benefit from his special education and to help him make progress. Each of the District witnesses was well qualified in his or her field and was familiar with Student’s needs through assessment and/or experience in working with Student. Based on their expertise, their knowledge of Student, and the significant progress they had seen Student make in the past, it was objectively reasonable for the District IEP team members to conclude that Student would continue to make progress under the February and May 2012 IEP’s. 11. The District also met its burden of proof to show that the proposed District placement was in the least restrictive environment appropriate to meet Student’s needs. Because of Student’s autism, he required time outside of the general education environment to receive specialized academic instruction and supplementary services such as OT and APE in order to benefit academically from his education. However, the IEP also called for Student to participate in classes with typical peers. Student clearly received nonacademic benefits from that interaction – his peers liked him, invited him into their activities and even redirected him when he was off task. 12. Student’s parents, of course, have the right to place their child in a private school setting at their own expense, even if that private school would not be the least restrictive environment for the child. (See In re Carl R. (2005) 128 Cal.App.4th 1051, 1066.) However, if a school district has offered a child a FAPE in the public school system, there is no requirement that the public fund a private school for that child. In this case, the evidence showed that the District did offer Student a FAPE. Student’s parents have the right to reject that offer and place Student in Pioneer Day School at their own expense. Should they wish their child to receive special education at public expense, they will have to bring their child back to the District’s proposed program. 1. The District’s February 2012 and May 2012 IEP’s offered Student a free appropriate public education in the least restrictive environment. 2. Student’s placement at Pioneer Day School is a private placement by his parents and the District is not required to fund Student’s placement at Pioneer Day School. Pursuant to California Education Code section 56507, subdivision (d), the hearing decision must indicate the extent to which each party has prevailed on each issue heard and decided. Here, the District prevailed on the sole issue heard and decided.